Commonly Asked Bank Interview Questions (PO, Clerk, Specialist Officer) - Frequently : 1. In an employment survey conducted in recent days it was noticed that banking sector huge scope in as far as careers are concerned. Apart from these, most of the young job seekers are striving behind bank jobs as they are cool jobs when compared to other sectors. On their way to their preparation they are coming out with lots of doubts about Bank interview questions and its preparation process. They would be eagerly waiting for someone who give a perfect guidance about the preparation, interview tips and how to tackle during difficult times, etc. 3. Below you can find some Commonly Asked Bank Interview Questions for various posts such as PO, Clerk, Specialist Officers etc. 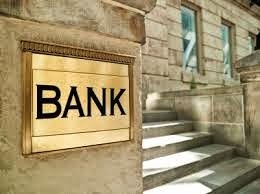 If they ask you why this bank, then you must be ready with your answer about that particular bank. Speak truth. Never try to show fake experience for the sake of good impression. 4) Why you are suitable for this post? Convince the interviewer in such a way that one other than you can do the justice for that position. 5. Apart form these, some questions based on G.K, Current affairs and banking will also be asked. So, be prepared and do well!.. All the best for your exam. 6. Candidates join us on Facebook for latest news and updates about Frequently Asked Bank Interview Questions (PO, Clerk, Specialist Officer). Guys subscribe us for free email alerts and bookmark our page for future reference.